The Millennium Dome is more than a building to mark the new millennium - it has become a national lightning conductor for premillennial tensions and a symbol of what it means to be British today. This illustrated title looks at the creation of the Dome. Officially endorsed by the New Millennium Experience Company, The Millennium Dome is the flagship title about the creation of this latter-day Wonder of the World The Millennium Dome is more than a building to mark the new millennium -- it has become a national lightning conductor for premillennial tensions and a symbol of what it means to be British today. Everything about the Dome is huge: its budget of GBP758million, its size (thirteen Albert Halls); and, greatest of all, the weight of public expectation resting upon it. Written with access to all the key personalities, illustrated with exclusive photographs, architectural plans and drawings, and officially endorsed by the New Millennium Experience Company, The Millennium Dome will be the flagship publication about the project and the most comprehensive visual record available of this architectural monument to the millennium. It is an extraordinary achievement: with a translucent canopy made of 100,000 sq m of fabric, 1km in circumference, held up with 43 miles of high-strength cable suspended from twelve vast, 105-tonne yellow steel masts, the Dome will light up the Greenwich night sky and be visible for many miles around. Its architect, Richard Rogers, has described it as 'an odyssey into the future, a twenty-first century Stonehenge'; and although -- who knows? -- the Dome's longevity may not quite match Stonehenge's, in the year 3000 it will perhaps be remembered as an almost mythical example of a building that showed truly millennial vision. 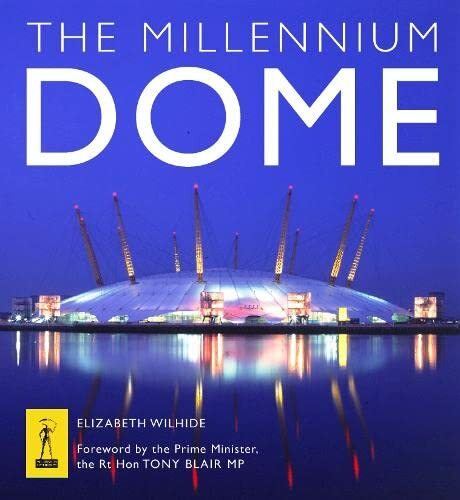 An elegant book that sets out its full story, The Millennium Dome describes the key moments in the planning and building of the Dome, and looks at the issues tackled along the way. While of course the narrative will discuss the government decision-makers and other high-profile figures associated with the Dome -- the project would have been impossible without their political willpower -- first and foremost it will relate the Dome experience through the eyes of those -- the architects, engineers and construction workers -- who had a more hands-on involvement in the project.